July 16-20, 9:00 a.m.-12:00 p.m.
August 13-17, 9:00 a.m.-12:00 p.m. 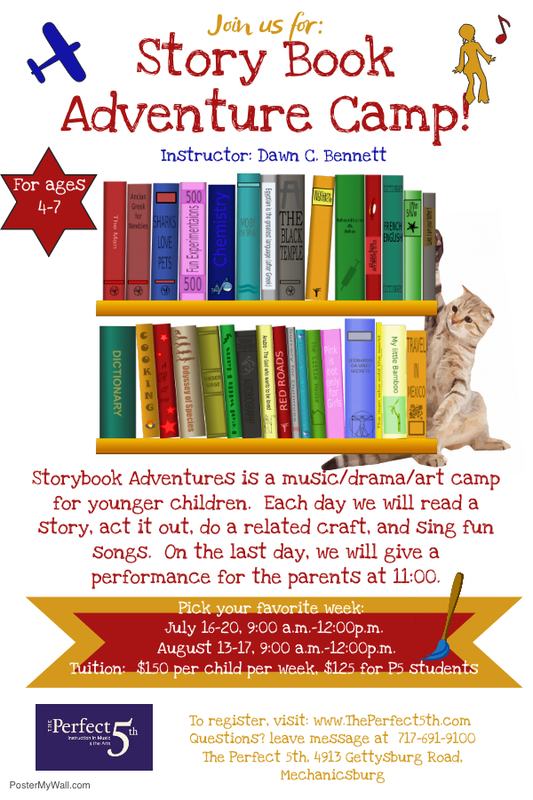 Storybook Adventures is a music/drama/art class for younger children. Each day we will read a story, act it out, do a related craft, and sing fun songs. On the last day of camp we will give a performance for the parents at 11:00. Bring a snack(nut free) each day.